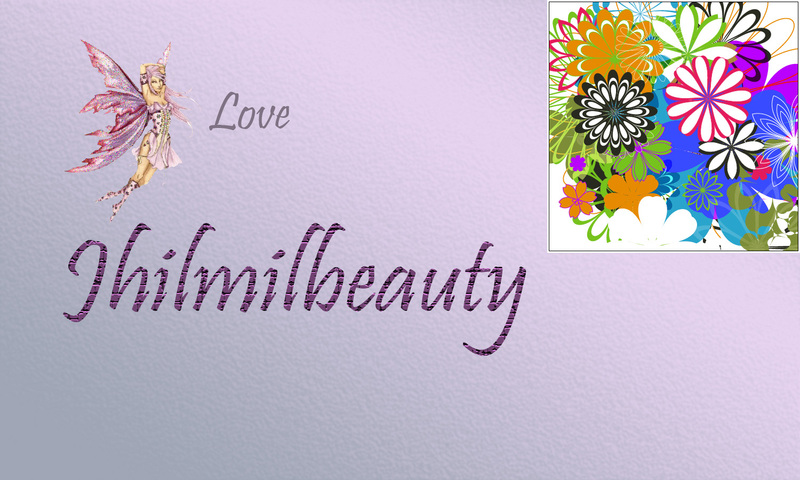 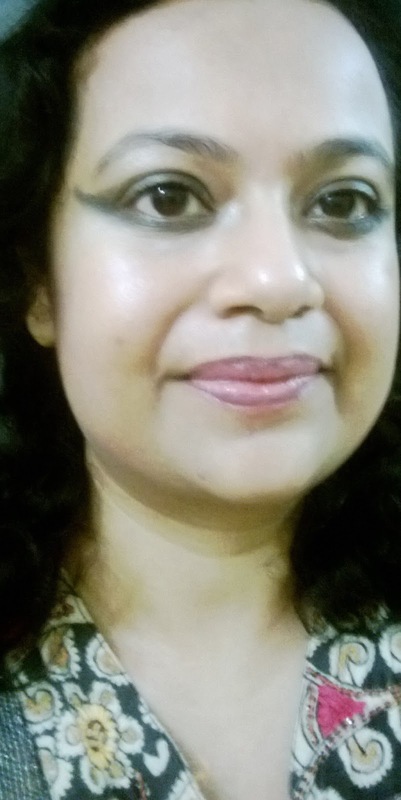 I started off with the Lakme CC Cream to even out my complexion. Then I used the Lakme Glide on Eye Color in a silvery grey shade on my lids and extended it towards the outer corner of the eyes. 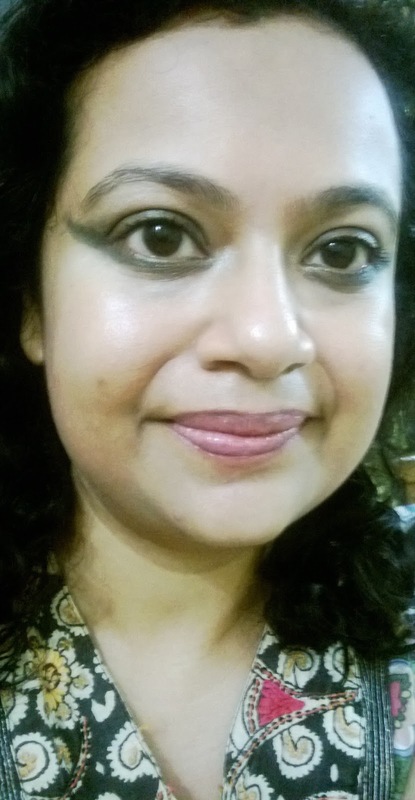 I drew a thick line across the lower lash line and extended it towards the outer corners to join the other line in a winged shape. 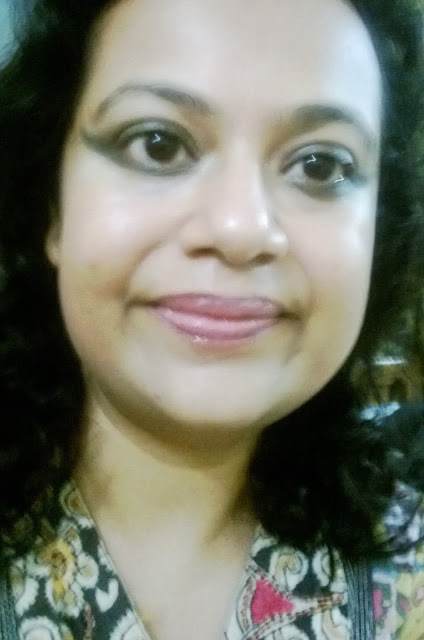 I applied the Lakme Eyeconic Kajal on top of the lines and smudged it to give a smoky effect. 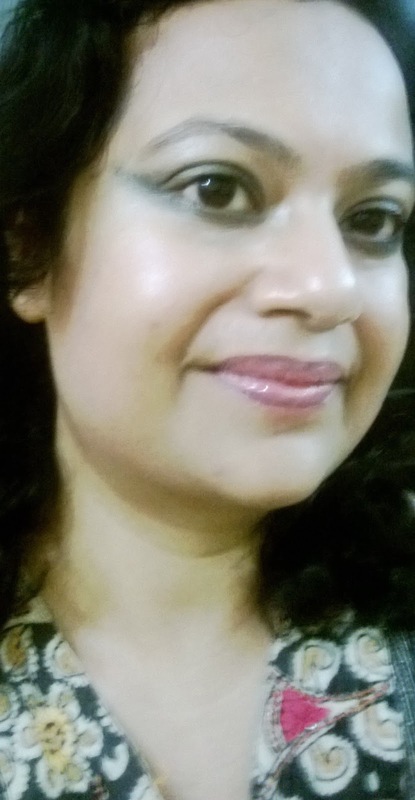 I used the Lakme Moonlit Highlighter on my brow bones and other highlighted areas for a glowing effect. 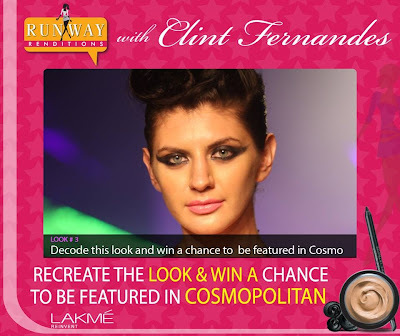 I applied a rosy blush on my cheeks and the Lakme Lip Love Conditioner in Flirt on my lips.